Before IMS Global it generally took 6 months and $25-50K USD to achieve a seamless, safe integration of two learning applications. With IMS it takes a few hours to integrate applications into the educational enterprise, and soon integration will happen with a few clicks. Seamless access to IMS-enabled resources for teachers and students occurs in one click. This ease of integration and access changes everything with respect to supporting greater innovative in teaching and learning. 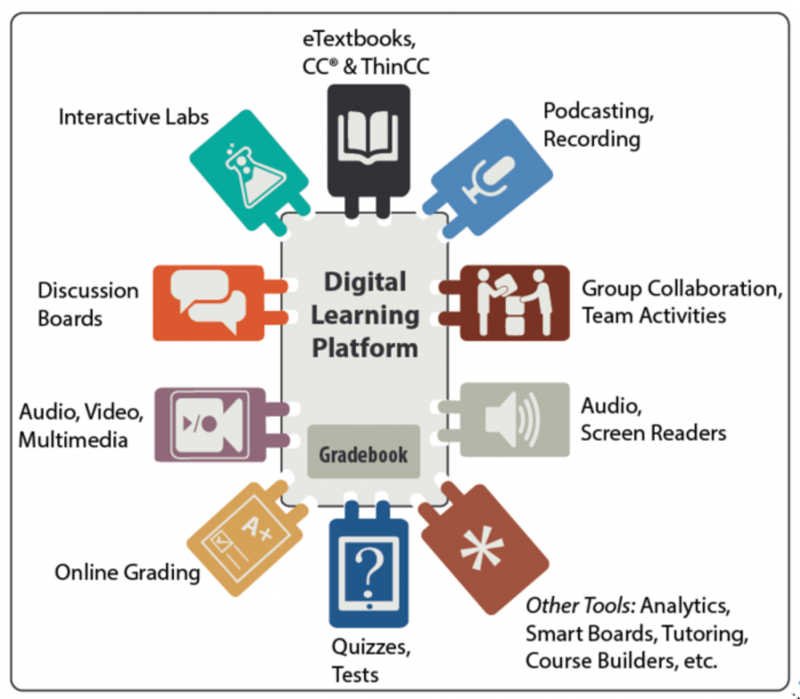 In addition to greater choice of tools for your EdTech environment, it is dramatically easier to make digital resources, tools, and apps available for pilots through to enterprise-wide adoption. It also means greater flexibility for apps being used by only a few classes that no one would have ever integrated before because of cost and effort. These can now be fully integrated, eliminating the need for laborious tasks such as manual entry of rosters or other data. The greater choice of EdTech also means greater institutional agility and responsiveness to your educational technology needs. Why is agility important? The rapid rate of change in the educational technology landscape has been very difficult to keep up with for most institutions and suppliers - and it is accelerating! It is widely recognized that the "long tail" of subject, grade, and learner preference apps will continue their rapid growth. For most institutions and districts, keeping up with this rapid change is nearly an impossible task. Engaging with IMS Global helps your organization get ahead and stay ahead of this curve by enabling your EdTech ecosystem to evolve without being limited by the cost and time of integrations. When you join IMS your organization has a stronger voice as to what you want from your EdTech partners. This simple idea is saving IMS member institutions and suppliers millions of dollars a year. That's what you get with IMS. The more organizations that join the cause as IMS members the better it is!